Founded in 1989 in Newcastle upon Tyne, Common Purpose runs leadership development programmes internationally with over 66,000 alumni worldwide. 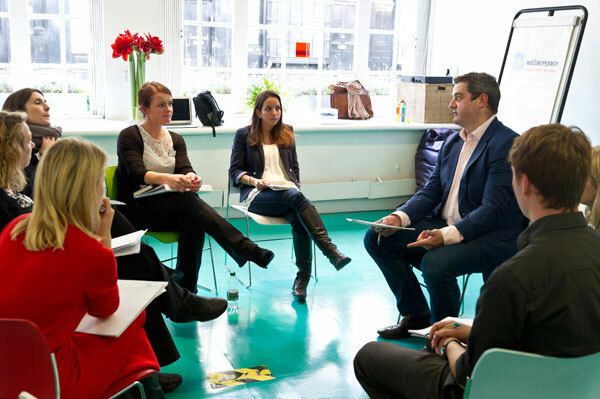 Bringing together cross sector leaders, our programmes help people develop their skills and give them the inspiration, knowledge and connections to become better leaders and influence beyond their authority. Applications are now open for our Navigator North of England programme for emerging leaders in 2017. This flexible leadership development programme deals with real-life leadership issues and insights, so it is neither classroom nor lecture based. We go beyond standard leadership models, which will help delegates gain new perspectives in the context of their city and region. They will learn from the successes and failures of leaders from all sectors across the North of England and will be taken out of their familiar environment to examine why, when and how they lead. We already have a brilliant and diverse group of participants signed up to the programme from organisations including Higher Education Funding Council For England, Hermes, Pendle Borough Council, 4CT, Theatre Royal Newcastle, UCLAN, University of Central Lancashire, Incommunities, Sadeh Lok Ltd, Tyneside Cinema, Christeyns, British Red Cross, Inspired Neighbourhoods CIC, North Music Trust (Sage Gateshead), Trinity House Community Resource Centre, Intu, Carlisle City Council, Blackpool Transport Services Ltd, Sandcastle Waterpark Blackpool, Carlisle City Council, Lancashire Sport Partnership, SAYiT and BAE Systems. The programme starts on the 25th of April in Newcastle and costs £3,500 + VAT . We would like to offer a discount of 10% for any of the NGI partners who would like to develop their high potential middle managers. We also have bursary support available for applications from eligible organisations.